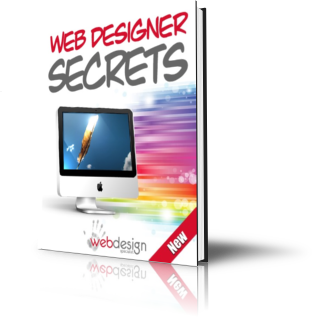 Hi and welcome to another post relating to my eBook “Web Designer Secrets” – you can download a copy free by clicking on the image to the right. In earlier posts I looked at using SEO services and other Internet marketing methods to get traffic to your site. A blog can increase the traffic to your site and can directly or indirectly increase sales and inquiries. Since its such a useful tool I though a bit more information might be helpful..
A blog is less formal and more informative (usually) and more geared towards social interaction than a website. As such you will often find it reaches an audience that might not have heard of you otherwise. Because you can usually leave a comment on a blog a visitor can become part of the part of the blog . As such it is a more personal experience than simply reading someones web page. This, plus the fact that blogs tend to be updated more often, makes for more return traffic. A blog is a great way to attract links from like-minded authoritative sites. And as your blog grows don’t forget the “link-juice” power of the internal links from your site also grows. So your blog can act as a buoyancy cushion to help push your website up the rankings. As I have written before one of the main barriers to buying is trust. People don’t know who you are. A blog is a good way to open up to your prospects and let them get to know you and in the process gain some trust. Through discussion, interaction and comments, you can build a sense of community around your blog. Interacting with other blog owners helps here as well, as this builds a network of which you are a major contributor. As mentioned above blogs also interface very well with social networks such as twitter, facebook and so on via RSS. So you can redirect some of the huge traffic from these social networks to your blog and from your blog to your website. Okay I know I said six ways – but here’s a seventh…. WordPress is probably the best known blog software and it’s availble for download free. Of course you’ll probably still need hosting and a domain name. WordPress can be added to with many useful modules and themes- the majority of which are once again free. A blog can help your website and your business and get you more traffic form areas you wouldn’t reach and other way. It can even be fun as well. And if you need some web design help , contact me for a free web design quote.